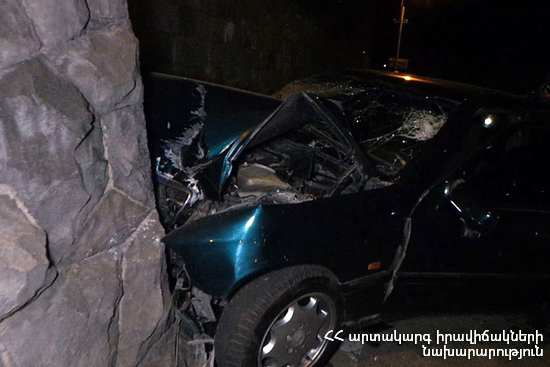 On February 6, at 23:50 information call was received to “911” service that a car accident had occurred in Shahumyan street, Dilijan town, Tavush Province. The rescuers’ help was needed. It turned out that “Mitsubishi Pajero iO” car had crashed into the curb of a pavement and turned over onto its side: there were no casualties. The rescuers put the car back onto its wheels and closed the gas valve.